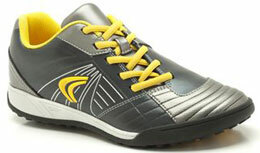 Clarks Lead Pass boys lace up trainers are a must have for budding footballers. The cool black and yellow design will make him the envy of the team while the coated leather uppers can withstand more than a few tackles. 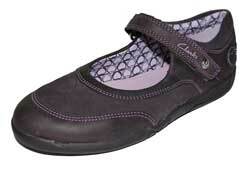 The elasticated lacing creates an authentic look and helps with taking on and off, while Agion antimicrobial linings help banish bacteria and keep feet fresh.